Cutty Sark Prohibition was released to celebrate the 80th anniversary of the repeal of prohibition and the failure of the Noble Experiment. Bottled at a higher proof than the regular Cutty Sark, and supposedly from a different mixture of single malts and grains, it has a noticeably different profile from its more mainstream companion. It’s a basic blended Scotch I enjoy neat and also works very well in cocktails due to the higher proof. It’s one of the blends I would suggest to people just getting into Scotch give a taste because it’s so much richer and inviting than most of the blends on the market. A good place to dip your toes into. Toffee, malt, spice, brulee, dried fruit, and some notes of toast and yellow grapes. Dried fruit, toffee, vanilla, brulee, yellow grapes, graham and char with bits of cocoa and spice. Medium – short -> Malt, cocoa, char and dried fruit. Ok balance, medium body and a soft feel. 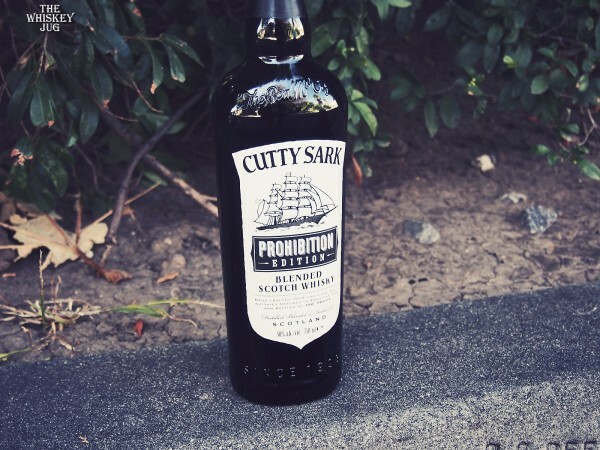 Cutty Sark Prohibition is a truly solid blend that drinks more like a high malt blend than it does a high grain blend such as Johnny red. The aroma and palate are fruity, silken and enjoyable, though overall it does lack a bit of depth. There is a touch of smoke from the char that comes through and as it sits some banana notes arrive. All of which are pleasant things in a Scotch. This is easily one of my favorite blends and is something I’ll actually reach for on the shelf from time to time when I want something simple, sippable and tasty. I don’t always want to blow through my really good stuff so it helps to have truly tasty backups like this in place; definitely recommended. 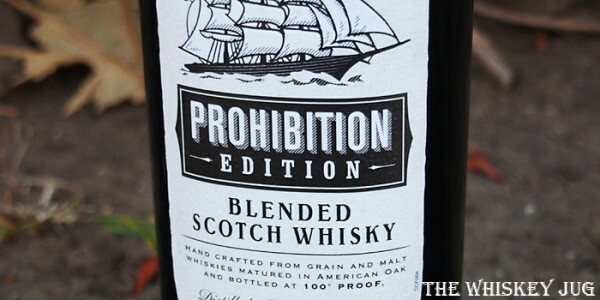 Cutty Sark Prohibition is a good bang-for-your-buck blended Scotch. 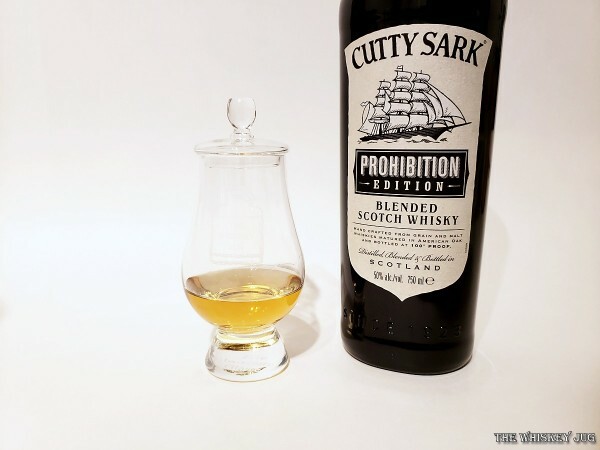 The post Cutty Sark Prohibition Review appeared first on The Whiskey Jug.